Adolf Hitler authorized Unternehmen Merkur (named after the swift Roman god Mercury) with Directive 28 the forces used were to come from airborne and air units already in the area and units intended for Unternehmen Barbarossa were to conclude operations before the end of May, Barbarossa was not to be delayed by the attack on Crete, which had to begin soon or would be cancelled. Planning was rushed and much of Unternehmen Merkur was improvised, including the use of troops who were not trained for airborne assaults. The Germans planned to capture Maleme, but there was debate over the concentration of forces there and the number to be deployed against other objectives, like the smaller airfields at Heraklion and Rethymno. The Luftwaffe commander, Colonel General Alexander Löhr and the Kriegsmarine commander, Admiral Karl-Georg Schuster, wanted more emphasis on Maleme, to achieve overwhelming superiority of force. 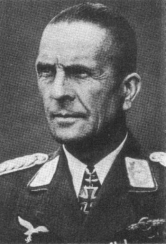 Major-General Kurt von Student wanted to disperse the paratroops more, to maximize the effect of surprise. As the primary objective, Maleme offered several advantages: it was the largest airfield and big enough for heavy transport aircraft, it was close enough to the mainland for air cover from land-based Bf 109 fighters and it was near the north coast, so seaborne reinforcements could be brought up quickly. A compromise plan by Hermann Göring was agreed, and in the final draft, Maleme was to be captured first, while not ignoring the other objectives. The invasion force was divided into Kampfgruppen (battlegroups), Centre, West and East, each with a code name following the classical theme established by Mercury, 750 glider-borne troops, 10,000 paratroops, 5,000 airlifted mountain soldiers and 7,000 seaborne troops were allocated to the invasion. The largest proportion of the forces were in Group West. 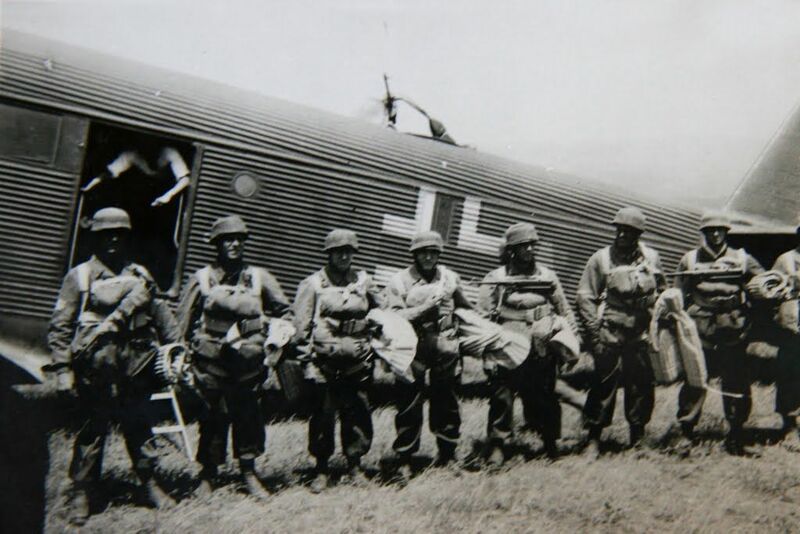 German airborne theory was based on parachuting a small force onto enemy airfields. The force would capture the perimeter and local anti-aircraft guns, allowing a much larger force to land by glider. In this article we will meet the main characters of the Operation Mercury. 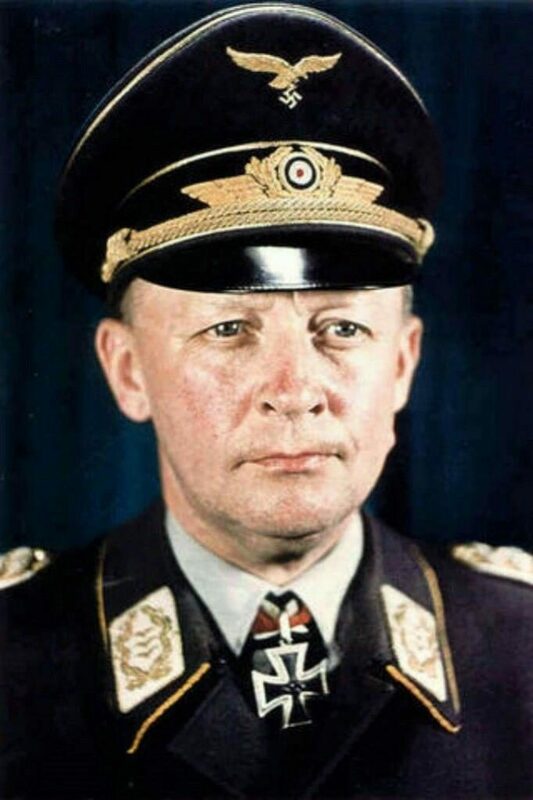 General der Flieger Alexander Löhr (20 May 1885 – 26 February 1947) was an Austrian Air Force commander during the 1930s and, after the annexation of Austria, he was a Luftwaffe commander. 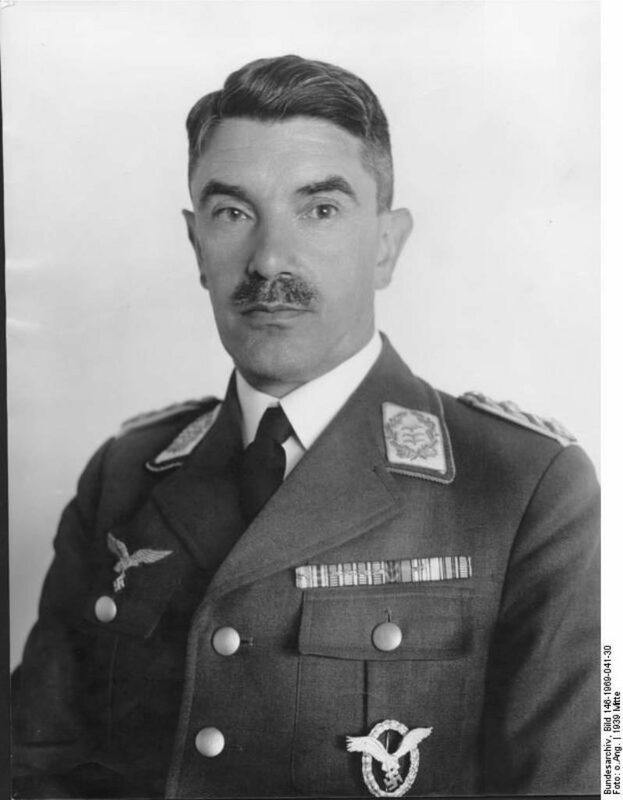 Löhr served in the Luftwaffe during World War II and became commander-in-chief in Southeast Europe. 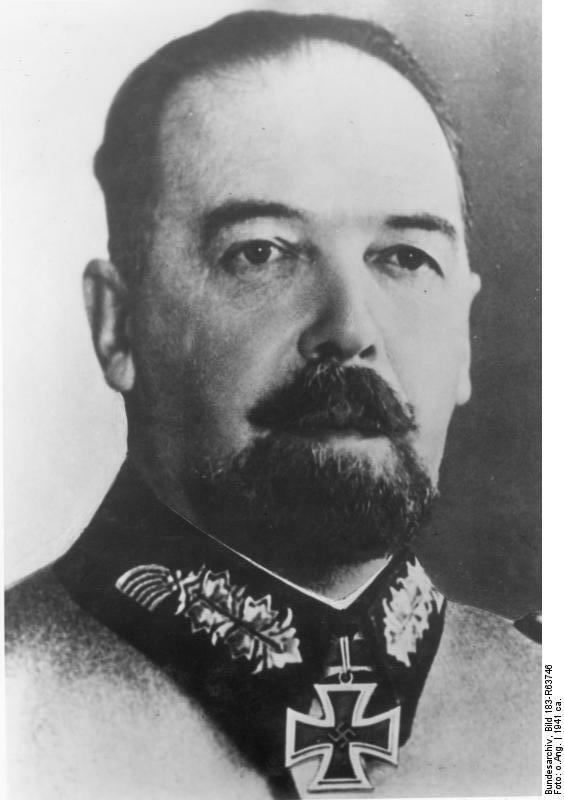 Löhr was one of three former Austrians who rose to the rank of Generaloberst within the German Wehrmacht. The other two were Erhard Raus and Lothar Rendulic. Kurt Arthur Benno Student (12 May 1890 – 1 July 1978) was a general in the Luftwaffe during World War II. He led the first major airborne operation of the war, the Battle for The Hague in May 1940. The highest-ranking member of Germany’s parachute infantry, he commanded the Fallschirmjäger throughout the war. In 1947, Student was tried and convicted of war crimes committed while in command on Crete. 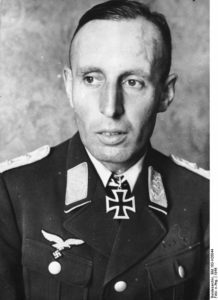 In 1943, Student ordered Major Harald Mors to plan Operation Oak (Unternehmen Eiche), the successful raid conducted by a special Fallschirmjäger unit to free Italian dictator Benito Mussolini. They landed with gliders and STOL aircraft on a hilltop. Student received the Oak Leaves to the Knight’s Cross of the Iron Cross for his role in the operation. Student was transferred to Italy and later to France, where he was involved in the battles of Normandy in 1944. He was put in charge of the First Paratroop Army and took part in countering the Allied Operation Market Garden, near Arnhem. After a brief time at the Eastern Front in Mecklenburg in 1945, he was captured by British forces in Schleswig-Holstein in April of that same year, before he could take command of Army Group Vistula. General der Flieger Freiherr Wolfram von Richthofen (10 October 1895 – 12 July 1945) was a German field marshal of the Luftwaffe (German Air Force) during World War II. In April 1941 VIII. Fliegerkorps was tasked with supporting the German invasion of Yugoslavia and the German Army in the Battle of Greece and the Battle of Crete. The failure of the Italian Army in the Greek-Italian War forced Hitler to intervene to secure the Axis flank, close to the Romanian oilfields. Operation “Marita” was expanded to involve the invasion of Greece and Yugoslavia. Richthofen’s Corps was given two wings of Ju 87s for the task StG 2 and Sturzkampfgeschwader 3 (StG 3), based in Bulgaria. With reinforcements, the German air contingent, under Luftflotte 4, would have a total of 946 combat aircraft supported by hundreds of transport machines. This force outnumbered the Greek, Yugoslav and RAF forces combined. 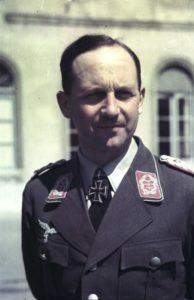 Richthofen arranged to have the German Twelfth Army’s air reconnaissance units cooperate with his own formations through the use of a liaison. The Corps’ operations supported the German Twelfth Army in southern Yugoslavia, which cut the Yugoslav Army off from Greece and the Allied forces there. The victory in Yugoslavia was complete with the bombing of Belgrade, which facilitated a rapid victory by destroying command and control centers. Yugoslavia surrendered on 17 April. Operations shifted to Greece. The Axis success in the Battle of the Metaxas Line allowed them to outflank the main Greek Army position and encircle the most effective Greek force. Richthofen’s units supported the attack against the Line, without much interference from Allied air forces. Just 99 RAF aircraft (74 bombers) and 150 Greek aircraft opposed Richthofen’s 500. By 15 April, the RAF had withdrawn. From this date, Fliegerkorps VIII’s main targets were Allied ships cramming the evacuation ports. Unlike the gross over claiming against British shipping in the English Channel in 1940, the claims of 280,000 tons of shipping (60 vessels) destroyed up until 30 April 1941 were approximately correct. Allied forces withdrew down the east coast of Greece, where the Royal Navy and Greek Navy began evacuating them from ports around southern Greece, including the capital, Athens. Ju 87 units from Richthofen’s Corps inflicted high losses on shipping, eliminating the small Greek Navy and causing damage to British shipping. In two days, the Greek Naval base at Piraeus lost 23 vessels to Stuka attack. From 21 to 24 April 43 ships were sunk on the southern coast. Total Allied shipping losses amounted to 360,000 tons. The end of the campaign on the mainland meant the sole remaining objective was the island of Crete, which lay off Greece’s southern coastline. During the Battle of Crete Richthofen’s Ju 87s also played a significant role. The operation came close to disaster on the first day. Most of the airborne forces that landed by glider or parachute lost most of their radios, which meant Richthofen had to rely on aerial reconnaissance aircraft. The German parachute troops were pinned down on the island, on the Cretan airfields they were supposed to capture. The level of effort Richthofen directed at relieving the pressure on them quite possibly saved the German units from destruction. On 21–22 May 1941, the Germans attempted to send in reinforcements to Crete by sea, but lost 10 vessels to “Force D” under the command of Rear-Admiral Irvine Glennie. The force consisting of the cruisers HMS Dido, Orion and Ajax forced the remaining German ships to retreat. The Stukas were called upon to deal with the British Naval threat. Since May 21st, around eight British destroyers and four cruisers were sunk (not all by air attack), along with five destroyers of the Greek Navy. Generalleutnant (Maj. Gen.) Wilhelm Süssmann (16 September 1891 – 20 May 1941) was a German general in the Luftwaffe (Air Force) during World War II who was killed in action during the Battle of Crete. 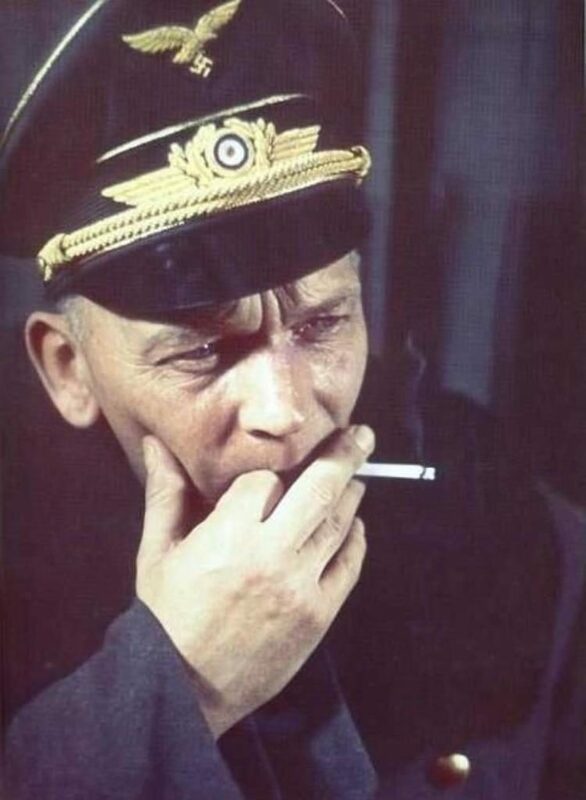 Süssmann was the first commander of the 55th Bomber Wing, from its formation on 1 May 1939 to 6 March 1940. 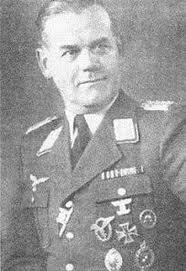 He commanded the 2nd Fallschirmjäger Regiment and later the 7th Flieger Division during the Battle of Crete. He was in command of “Task Force Mars” designated to capture the prison valley (Ayia), Chania, Souda and Rethymno. As his DFS 230 glider, carrying him and his staff, was being towed from Greece to Crete, the tow-cable snapped, the left wing broke off and the craft plunged to the small island of Aegina. Süssmann was killed on impact. He is buried at the German Military Cemetery at Dionyssos-Rapendoza, Greece. Under the command of Süssmann was also Oberst (Colonel) Alfred Sturm (23 August 1888 – 8 March 1962). 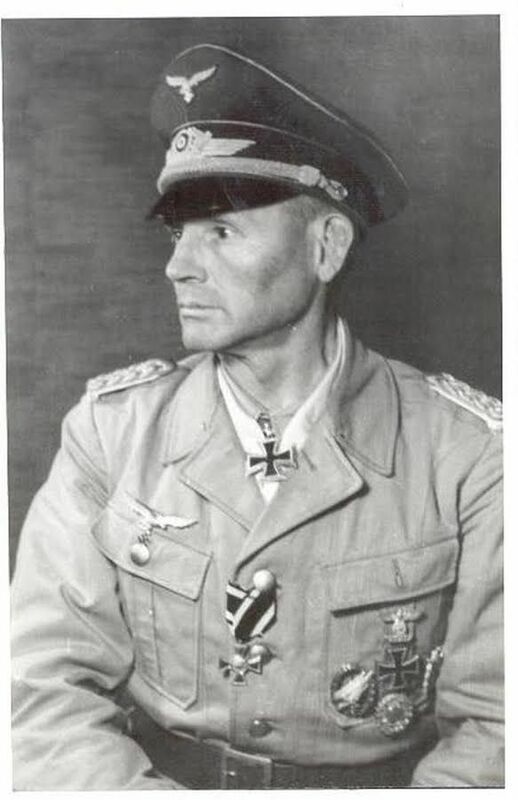 Sturm was the commander of 2nd Fallschirmjäger Regiment. He was awarded the Knight’s Cross of the Iron Cross for his actions during the Battle of Crete. He jumped west of Pigi-Airport in Rethymnon-Crete (Grouppe Mitte – 2nd wave), and he was captured as a POW on 21 May 1941 from the Greek soldier’s of 4th Infantry Battalion, and delivered to 2/11 HQ. For ten days he was a POW in Pigi Village POWs Camp in a separate place in the camp because he did not like to be together with his soldiers. 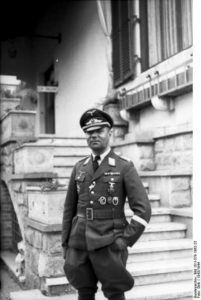 The commander of 3rd Fallschirmjäger Regiment was Oberst (Colonel) Richard Heidrich (27 July 1896 – 22 December 1947). He was a recipient of the Knight’s Cross of the Iron Cross with Oak Leaves and Swords of Nazi Germany. He belonged to Gruppe Mitte – “Task force Mars” under the command of Süssmann. In the area of Chania, Galatas and prison valley under the command of Heidrich was the 1st Battalion (Hauptmann Friedrich von der Heydte), 2nd Battalion (Major Derpa), 3rd Battalion (Major Ludwig Heilmann). 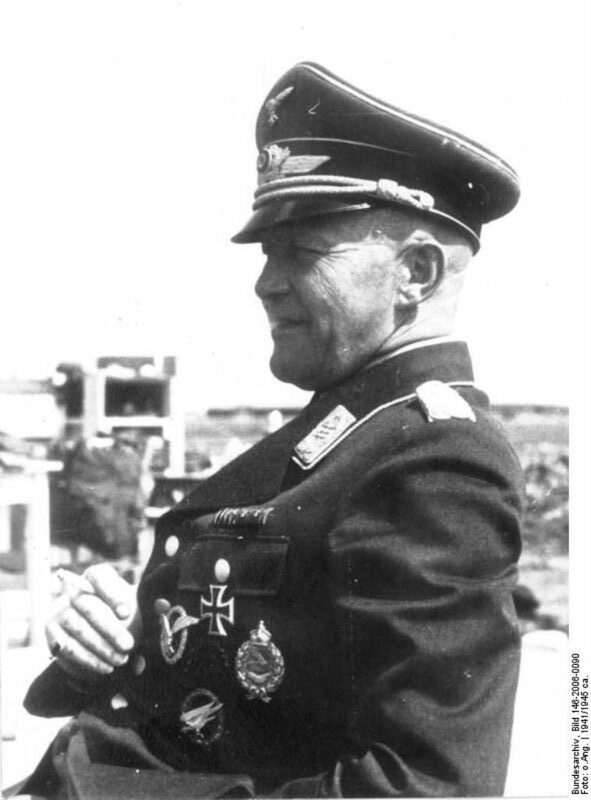 Generalmajor Eugen Meindl (16 July 1892 – 24 January 1951) was the commander of Luftlande Sturmregiment – Gruppe West – “Task force Comet”. Born in 1892, Eugen Meindl enlisted in the army in 1912 and served during World War I. Meindl served with various artillery units in the Reichswehr, the post-war armed forces of the Weimar Republic, and subsequently in the Wehrmacht of Nazi Germany. 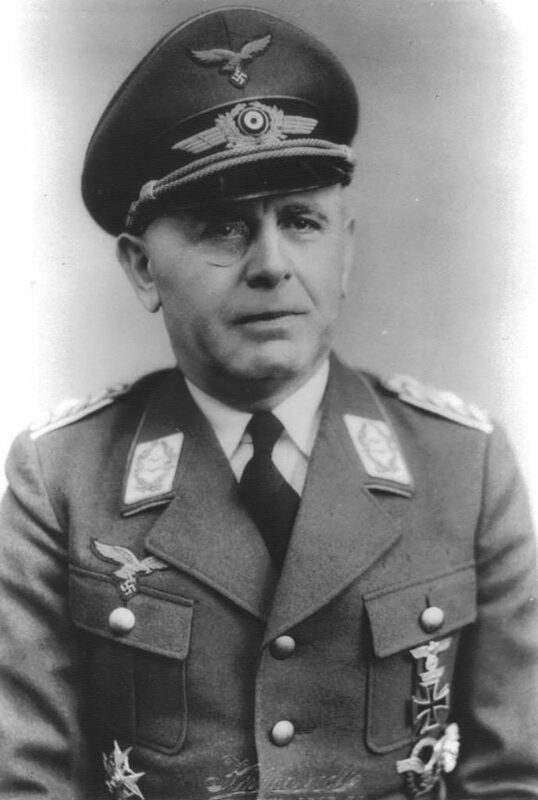 In November 1938, Meindl was named commander of the 112th Mountain Artillery Regiment in Graz. Promoted to Oberst, he led the “Meindl Group” and made his very first parachute jump at Narvik. He transferred to the Luftwaffe in November 1940. 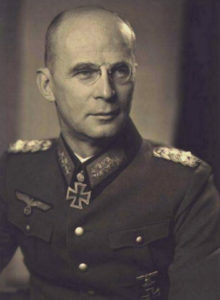 During the airborne invasion of Crete, Meindl jumped near the Platanias Bridge, where he was shot in the chest and seriously wounded and had to pass control of the regiment to Oberst der Fallschirmjàger, Hermann Ramcke. 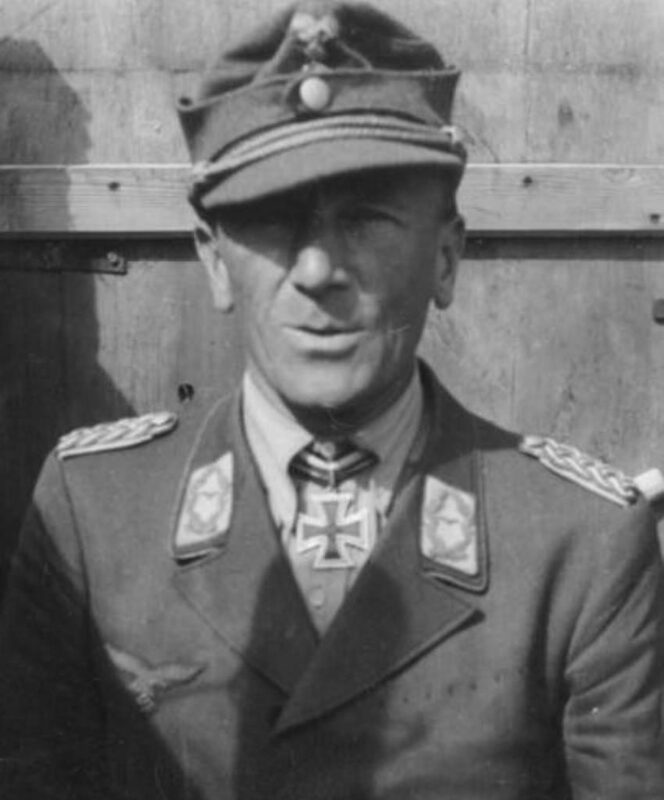 Colonel Hermann-Bernhard Ramcke (24 January 1889 – 4 July 1968) was a German officer of paratroop forces during World War II. He led units in Crete, North Africa, Italy, the Soviet Union and France, and was captured by American forces at the conclusion of the Battle for Brest in September 1944. 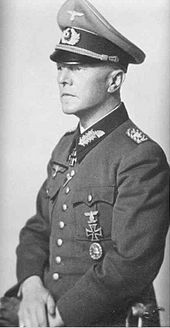 He was a recipient of the Knights Cross of the Iron Cross with Oak Leaves, Swords and Diamonds, one of only 27 people in the Nazi German military so decorated. 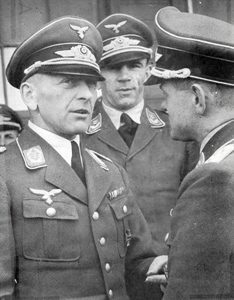 On 19 July 1940, Ramcke was transferred to the 7th Fliegerdivision under the command of General Kurt Student and was promoted to Oberst. At the age of 51 he successfully completed the parachute qualification course. In May 1941 working with the division Stab he helped plan and also took part in Operation Merkur. Forces under his command captured the Maleme airfield which was used to fly in reinforcements. After the costly victory in Crete, remainders of several paratroop units were formed into an ad hoc brigade, and command was given to Ramcke. He was promoted to Generalmajor on 22 July 1941. While on Crete, Ramcke ordered his men to attack civilians in villages where the mutilated bodies of German paratroopers had been found. 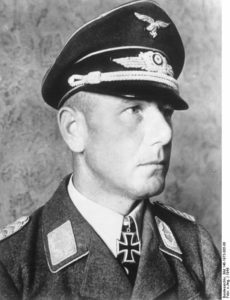 Oberst Bruno Bräuer (4 February 1893 – 20 May 1947) was an officer in the paratroop forces of Nazi Germany during World War II. He served as a commander on Crete (so-called Fortress Crete) and then commanded the 9th Paratroop Division. After the war, Bräuer was convicted of war crimes and executed, along with Friedrich-Wilhelm Müller, on the anniversary of the German invasion of Crete. On May 20th 10941 Bräuer was to lead the first Fallschirmjäger Regiment and the second battalion, 2nd Fallschirmjäger Regiment. His objective was to take the airfield at Heraklion but Nazis failed because of the brave defense of the allied forces and the Cretan civilians. 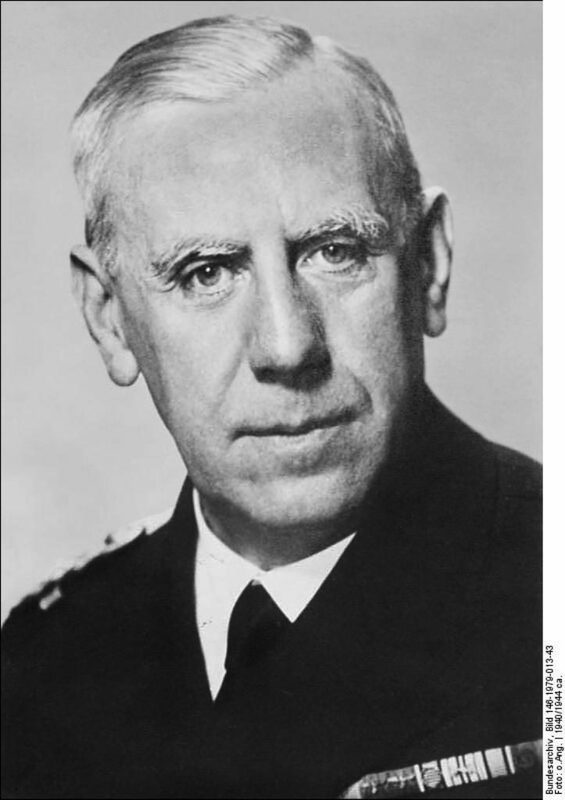 In November 1942 Bräuer replaced General Alexander Andrae as commander on Crete. On 25 March, Greek Independence Day, he released 100 Cretans jailed in Agia prison. Among them was Constantinos Mitsotakis, who later became MP and Prime Minister of Greece. After German failures at Stalingrad and El Alamein, Bräuer ordered the construction of underground command bunkers, more defenses around Souda Bay and increased ammunition stocks. Bräuer was replaced by General Friedrich-Wilhelm Müller in 1944. In January 1945, the German 9th Parachute Division was formed under Bräuer, mostly made up of Luftwaffe ground forces. Then two of his battalions were encircled by the 1st Ukrainian Front in Breslau, where they were destroyed. The rest of the division retreated back to the Seelow Heights. Many of the troops fled when the Soviet barrage began. Before long, the line had nearly completely collapsed and many of Bräuer’s men began to desert. 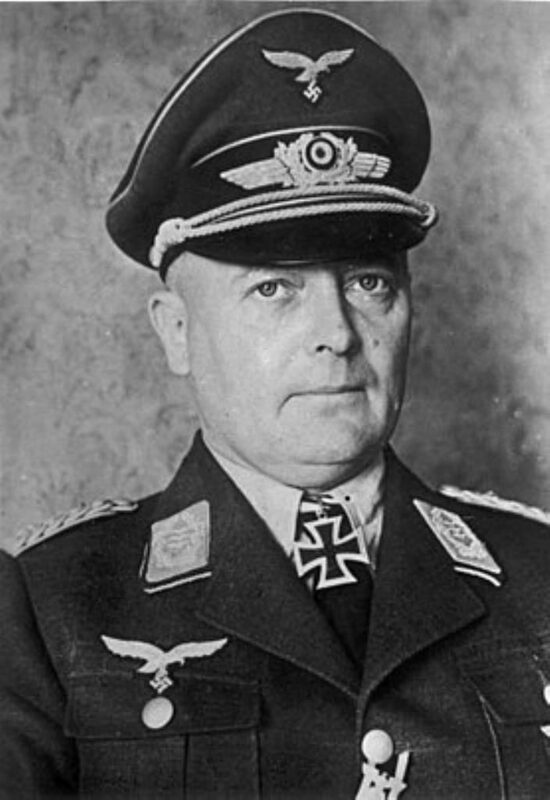 Bräuer suffered a nervous collapse and was relieved of his command. Generalmajor Julius ‘Papa’ Ringel (16 November 1889 – 11 February 1967) was an Austrian general in the armed forces of Nazi Germany during World War II. He fought in the Western and Eastern fronts, as well as the Balkan Campaign. Ringel commanded the 3rd Mountain Division, 5th Mountain Division, LXIX Corps, Wehrkreis XI and the Army Corps Ringel. He was a recipient of the Knight’s Cross of the Iron Cross with Oak Leaves. During the battle of Crete, he was the commander of 5th Gebirgs (Mountain) Division. All of his troops transferred to Crete by the German air force after they captured the airfield of Maleme. For the operation Mercury he informed the Headquarters that there are only 5000 allied troops to defend Crete and the local population is looking forward to welcome them. Because of these wrong information and the massive resistance of the allies and the civilians, Nazis suffered heavy casualties after the Battle of Crete.